(Winter) and five summer classes labeled by a number. The value of winter label determines oil attributes at low temperatures and the value of summer label determines oil use at summer temperatures. If only one class is used during labeling, it means that it concerns monograde oil (summer or winter). When the combination of summer and winter class is used (e.g. 5W-40), it concerns multigrade, or year-round oil. Presently, multigrade motor oils are nearly entirely used. SAE 15W-40 class is mostly used for our hoter climatic zone. Presently, the most significant specifications are API, ACEA and company standards of producers of engines and vehicles. CCMC classification is already obsolete and is mentioned only temporarily. According to this standard, we distinguish motor oils according to their use to spark-ignition (gasoline) engines, labeled by the letter “S” (Service) and to compression ignition (diesel) engines, labeled by the letter “C” (Commercial). The majority of oils is usable for both types of engines and is thereafter labeled by a combination of both letters, e.g. SL/CF. SA Oils without additives for engines operating in moderate conditions with minimal load, produced in years 1940-1950. SB Oils with additives against deposits creation for engines produced in years 1951-1963. SC Oils with additives against deposits creation and low-temperature sediments for engines produced in years 1964-1967. SD Additive oils with detergent and dispersive additives for engines produced in years 1968-1971. SE Oils for heavy-duty engines manufactured between 1971 and 1979. SF Oils for heavy-duty engines manufactured between 1980 and 1988. SG Oils for engines manufactured between 1988 – 1993, which fulfill the most severe criteria to minimize wearing and creation of sludge. SH Oils of the same attributes as SG are tested according to more demanding standards though. Designed for engines produced in 1996 and older. SJ Oil for engines produced in 2001 and older. SL Oils superceding API SJ by increased fuel economy and possibility of extended service intervals. SM Oils of the highest quality superceding API SL by increased oxidative stability, higher protection against wear and deposits. CA Oils for non-turbocharged engines operating under good conditions, manufactured between 1940 and 1960. CB Oils for non-turbocharged engines operating under moderate conditions, manufactured between 1949 and 1964. CC Oils for moderately turbocharged engines operating under moderate conditions, manufactured between 1964 and 1970. CD Oils for turbocharged, heavy-duty engines manufactured between 1970 and 1979. These oils contain additives against high-temperature sludge and bearing corrosion. CD-II Oils for two-stroke engines. CE Oils for high-performance, heavy-duty, high-speed turbocharged engines manufactured after 1983. CF Oils with improved properties replacing CD oils for engines with indirect fuel injection. CF-2 Oils for two-stroke engines. These oils contain additives against excessive wear and deposits. CF-4 Oils for heavy-duty engines of very large trucks operating under extreme conditions. Introduced in 1990. CG-4 Oils for engines produced from 1995 with emphasis to meet emission limits. 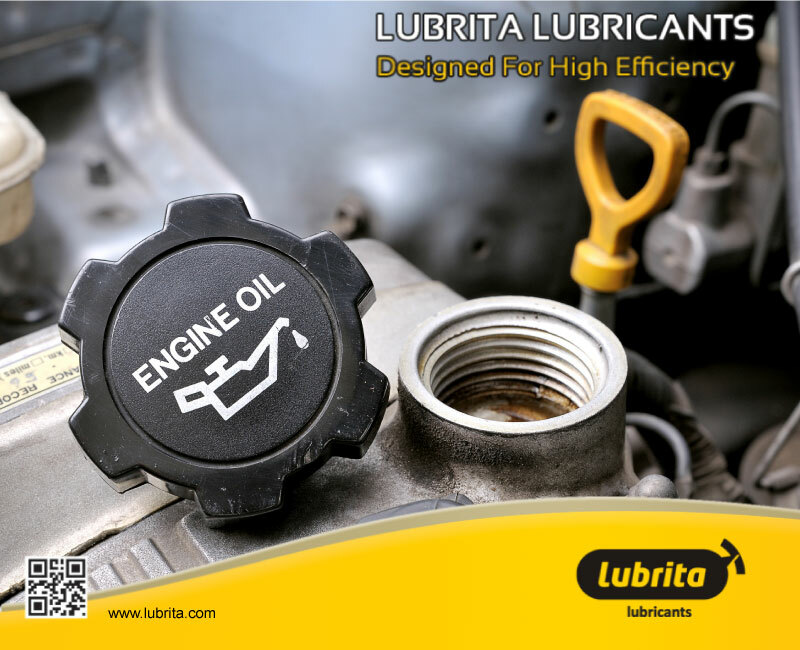 Oils for heavy-duty, high-speed engines operating under extreme road and terrain conditions. CH-4 Oils for heavy-duty, high-speed engines operating under extreme road and terrain conditions. Introduced in 1998. CI Introduced in 2002. Oils for high speed heavy duty engines with re-circulation of exhaust fumes (EGR) meeting emission limits set from 2004.
oils for high-performance compression ignition engines, labeled as “E”. A1/B1 Oils with protective additives against creation of piston deposits, sludge, excessive wear and high-temperature oxidation. These oils meet requirements on light run and economy on fuel. They are suitable only for some engines..
A3/B3 Oils for heavy-duty spark-ignition engines, compression ignition engines and for extended service intervals, as recommended by engine manufacturer. A3/B4 Oils for heavy-duty spark-ignition engines, compression ignition engines and for extended service intervals, as recommended by engine manufacturer, also suitable for use described in B3 category. A5/B5 Highly stable oils for extended service intervals in heavy-duty spark-ignition engines and compression ignition engines. These oils meet requirements on light run and economy on fuel. They are suitable only for specially designed engines. Oils compatible with catalytic converters – for spark-ignition and compression ignition engines. C1 Oils designed for use with catalytic converters DPF (Diesel Particulate Filter) and TWC (Three Way Catalyst) in highly efficient engines requiring low-viscosity oil with low SAPS (chemical limits) and with viscosity at high temperature and shear stress (HTHSV) higher than 2.9 mPa.s. Oils prolong lifetime of catalytic converters and reduce fuel consumption. They are suitable only for specially designed engines. C2 Oils for use with catalytic converters DPF and TWC in highly efficient engines designed for low-viscosity oils with HTHSB higher than 2.9 mPa.s. Oils prolong lifetime of DPF and TWC catalytic converters and reduce fuel consumption. They are suitable only for specially designed engines. C3 Oils for use with catalytic converters DPF and TWC in highly efficient engines. They prolong lifetime of DPF and TWC catalytic converters. They are suitable only for specially designed engines. E2 Oils of common use for non-turbocharged and turbocharged medium-duty or heavy-duty engines, and with normal service intervals. E4 Oils providing excellent protection of piston purity – against wear and soot. They are recommended for highly efficient engines, fulfilling emission requirements Euro 1, Euro 2, Euro 3 and Euro 4, operating in demanding conditions, e.g. extended service intervals, according to recommendation of engine producer. They are suitable for engines without filter of solid particles and for particular engines equipped with recirculation of exhaust gases, or with SCR (Selective Catalytic Reduction NOx) system, according to recommendation of engine producer. E6 Oils providing excellent protection of piston purity – against wear and soot. They are recommended for highly efficient engines, fulfilling emission limits Euro 1, Euro 2, Euro 3 and Euro 4, operating in demanding conditions, e.g. extended service intervals, according to recommendation of engine producer. They are suitable for engines equipped with recirculation of exhaust gases, without or with filters of solid particles and for engines with SCR systems. E6 – quality especially recommended for engines with filters of solid particles and it is qualified in a combination with fuel with low sulphur content (max. 50 ppm). Always follow recommendations of engine producer. E7 Oils providing efficient protection of purity and against pistons smoothing. They further provide improved protection against wear, deposits and soot. They are recommended for highly efficient engines, fulfilling emission limits Euro 1, Euro 2, Euro 3 and Euro 4 operating in demanding conditions, e.g. extended exchange intervals, according to recommendation of the engine producer. They are available for engines without filter of solid particles and for majority of engines equipped with recirculation of exhaust gases, or with SCR system, according to recommendation of engine producer. Note: Categories A2 and B2 are not included in the present issue. They are still valid in the last version till the automobiles producers will be mentioned in service books. Category E3 and E5 are replaced by categories E6 and E7. SCR (Selective Catalyst Reduction) – selective catalyst reduction of NOx – modification of content of exhaust gases by urea (agent AdBlue = 32.5% water solution of urea). Many automobile and engine manufacturers require from motor oils fulfillment of further requirements. MAN M3277 – approximately corresponds to ACEA E4; comparable with MB 228.5. MAN M3477 – approximately corresponds to ACEA E6; comparable with MB 228.51. JASO FC oils for high-load, high-speed engines.